Welcome to the WEM High School Band Page! On this page, you will find a schedule of music department dates as well as a schedule of pep band dates. You will also find some information on all the performing groups offered at WEM. The WEM Marching Bucs performs for various events in the Waterville area including the Homecoming Parade, a Homecoming Half-time show, as well as other various community events. This group is led by Mr. Jared Larson. The Buccaneer Pep Band performs at various High School sporting events including football, volleyball, and boy's and girl's basketball. It is made up of all High School Band students as well as a few community members and junior high students. 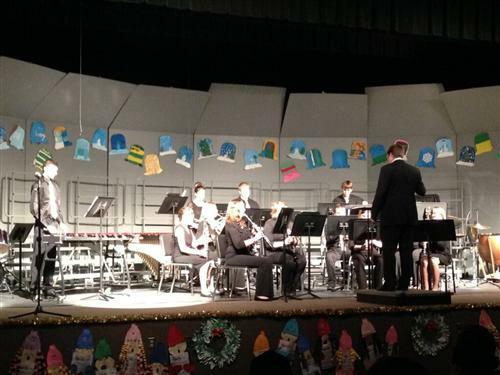 The Wind Ensemble is the premiere concert band of WEM. It consists of students grades 9-12. The ensemble has 3 main concerts a year, as well as various ensemble and solo performances. The WEM Jazz Band is an audition only group of musicians who perform various styles of music including big band, rock, swing, dixie, and many more. The group meets outside of the school day, and begins rehearsal in January.